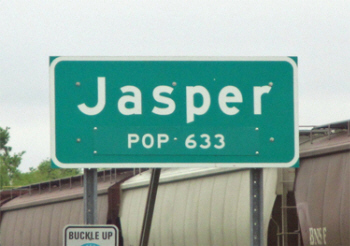 Do you have photos, historical accounts or other items pertaining to the Jasper area? Would you like to share this historical information with the world? 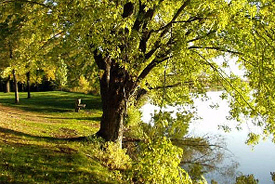 LakesnWoods.com would like to publish your Jasper photos (current or historical) or historical accounts on this website. Original materials can be returned and your privacy will be respected. 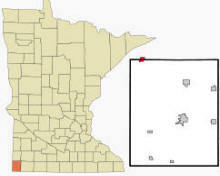 Jasper is a city in Pipestone and Rock counties in the state of Minnesota. 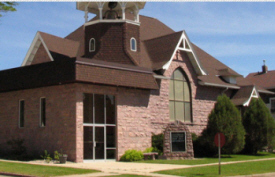 Most of the city lies in Pipestone County, with only a small part of the city extending into Rock County. 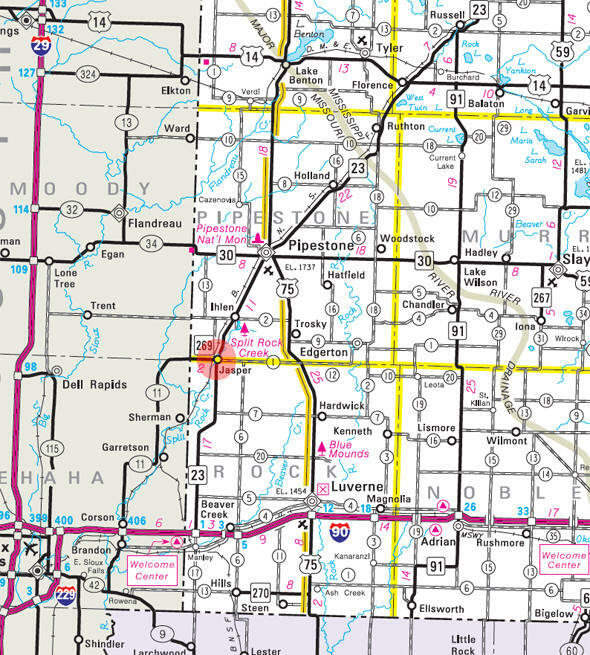 Minnesota State Highways 23 and 269 are two of the main routes in the community. 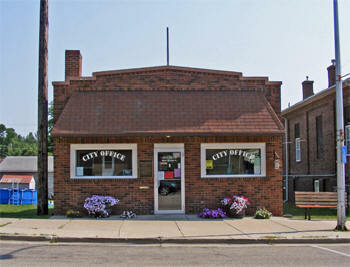 According to the United States Census Bureau, the city has a total area of 0.88 square miles (2.28 km²), all of it land. 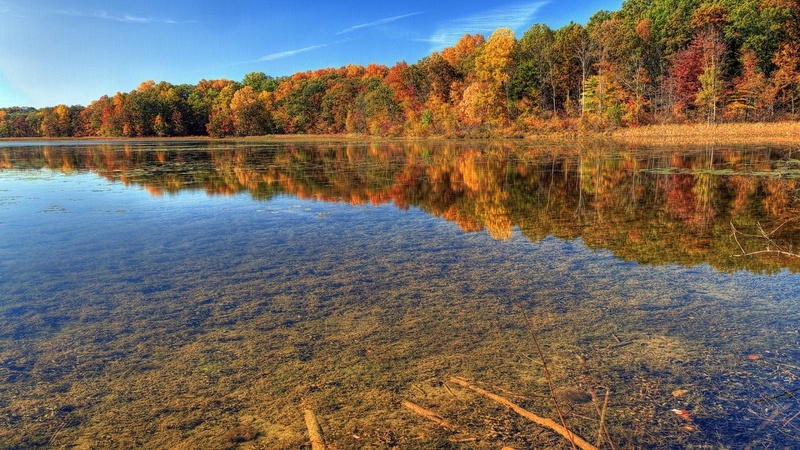 The elevation is 1,555 ft (474 m) above sea level. As of the census of 2010, there were 633 people, 292 households, and 166 families residing in the city. The population density was 719.3 inhabitants per square mile (277.7/km2). There were 324 housing units at an average density of 368.2 per square mile (142.2/km2). The racial makeup of the city was 92.3% White, 1.4% African American, 0.5% Native American, 3.0% from other races, and 2.8% from two or more races. Hispanic or Latino of any race were 5.1% of the population. There were 292 households of which 30.5% had children under the age of 18 living with them, 42.5% were married couples living together, 8.2% had a female householder with no husband present, 6.2% had a male householder with no wife present, and 43.2% were non-families. 40.4% of all households were made up of individuals and 21.6% had someone living alone who was 65 years of age or older. The average household size was 2.17 and the average family size was 2.87. The median age in the city was 40.5 years. 25.8% of residents were under the age of 18; 6.7% were between the ages of 18 and 24; 23.5% were from 25 to 44; 21.5% were from 45 to 64; and 22.4% were 65 years of age or older. The gender makeup of the city was 49.0% male and 51.0% female. JASPER, a city with Rock County, in the south edge of Eden, incorporated May 13, 1889, was named for its quarries of red quartzite, commonly called jasper, an excellent building and paving stone. Twelve blocks were platted on April 19, 1888, by Pipestone County surveyor Alfred S. Tee on part of the Joseph Warren Drew homestead. The main industry was the quarries nearby. 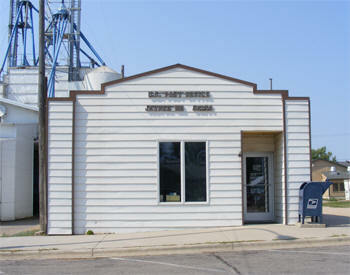 The village had a station of the Great Northern Railway; the post office was established in 1888, with newspaper publisher Selah S. King, postmaster. 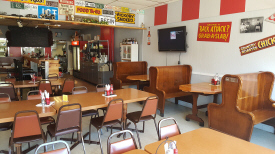 Are you looking for great food for any event? Well you came to the right place! At Brian's 19th Hole BBQ Pit we can make any event happen for you. We have recipes that are 85 years old that will make your taste buds water. 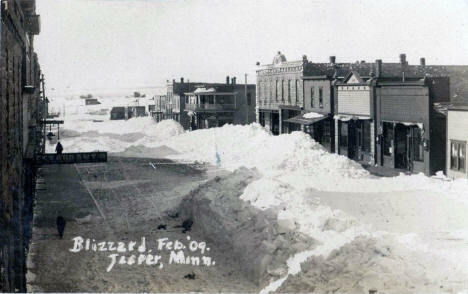 At Jasper Motors, we are becoming the biggest little dealer in southwest Minnesota. It's because we always have a big selection of clean, low mileage pre-owned cars, trucks, vans, and suvs. And our low overhead means lower prices! Its why more buyers shop us first for their next used vehicle. 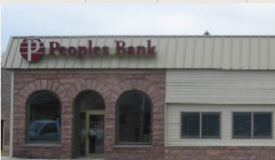 Peoples Bank is a locally owned community bank that has served Northwest Iowa and Southwest Minnesota for over 30 years. 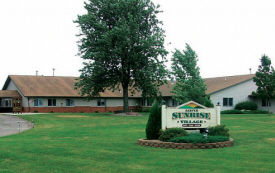 With offices in Rock Valley, Lester, Sioux Center, Akron, Sheldon, Hawarden and Jasper, MN, we are equipped to serve our customers in their very own community. 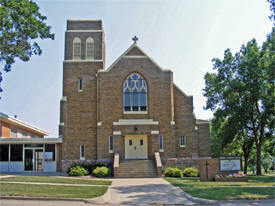 Our farm is located in Southwestern Minnesota about 30 miles northeast of Sioux Falls, SD. We have been raising alpacas for seventeen years. 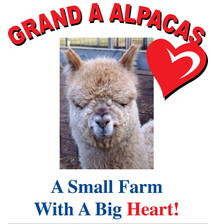 We work hard at raising alpacas with great soft fiber and good confirmation. We take lots of pride in our animals. Check out our wonderful fiber that we sell as natural yarns and terrific end products. Our specialty is scarves but we are working on boot cuffs now! !